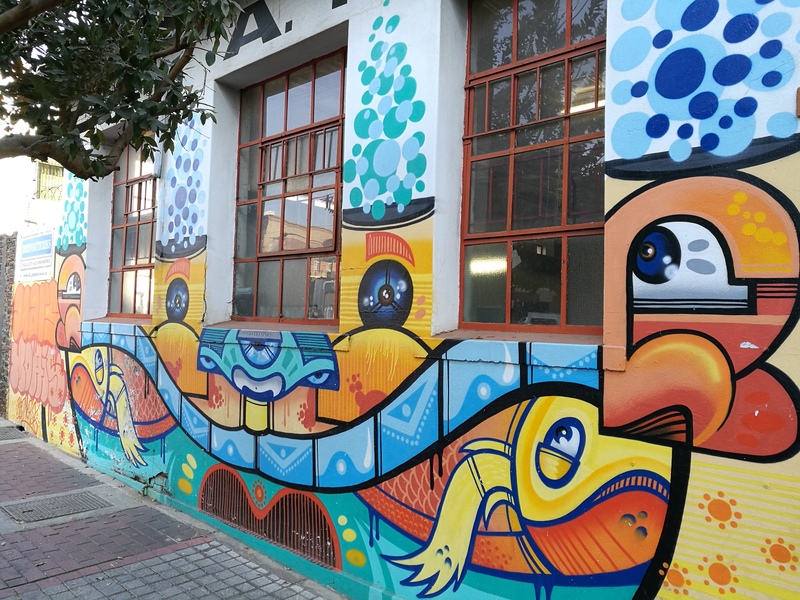 Maboneng – the rising star of Joburg! 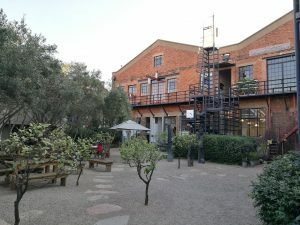 I recently had an opportunity to visit Maboneng on a short fam trip. The area has been hyped by various hotel partners we deal with, South Africa Tourism and even just in the media. There was some intrigue for sure, but a lot was unknown. 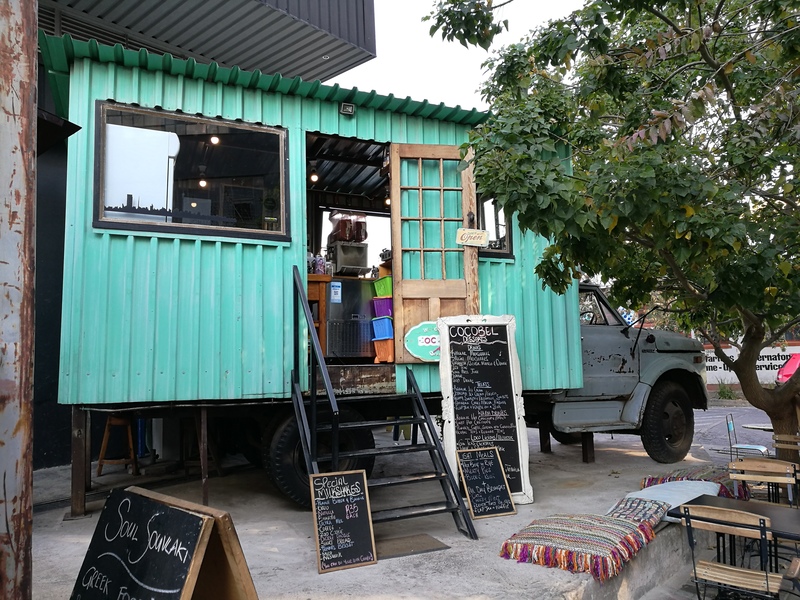 It all started by converting some old buildings which had character, and making them into work space, living space and retail space, whilst still retaining the urban edge. In the precinct itself, you will find a myriad of retail (local fashion) shops, coffee shops, restaurants and studio spaces amongst a host of others (there is even a local organic green grocer). There is also an independent cinema (or bioscope) which plays mostly classic films. And it’s packed every night! 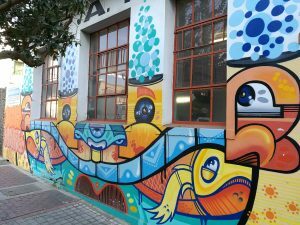 There is amazing street art/graffiti all over the place – a hallmark of the area. The buildings or walls have been ‘bought’ so that they can keep the art/murals from being damaged. 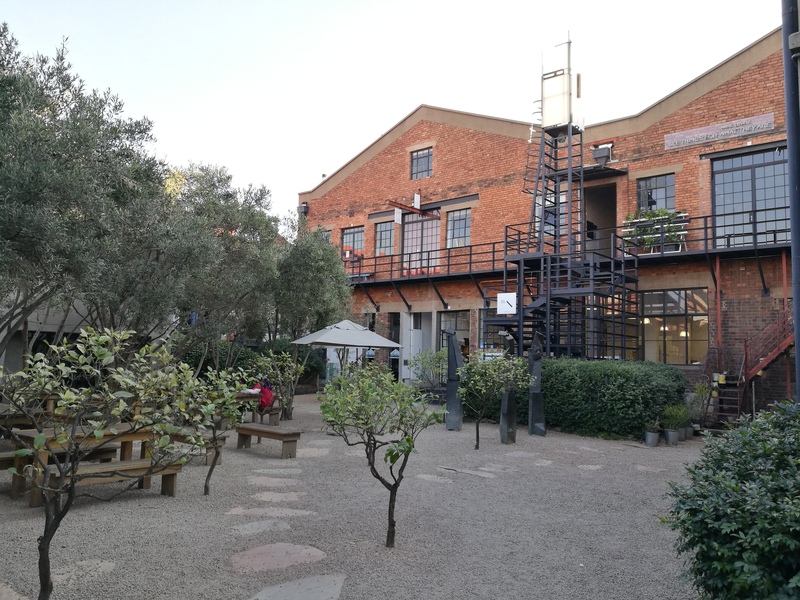 Maboneng is definitely focussing itself on the arts, crafts, and cool design, and is definitely a location to keep an eye on. The young property developer who started this all has pumped in a lot of money planting trees along the streets of the precinct, as well as ensuring visible security/guards are prominent on each street corner. Walking within the prescient itself is safe and I didn’t have any concerns at all. You can see many international clients walking around. Naturally it is still early days, so you have to place the right client here – however give it a few years and I think we will see an explosion of the area, with massive investment coming in. I was lucky enough to stay at Newmark Hotel’s new addition (coincidentally managed and marketed on behalf of the self-same 33-year-old developer!) – Hallmark House. Hallmark House was originally a diamond-polishing centre in the 1970’s. 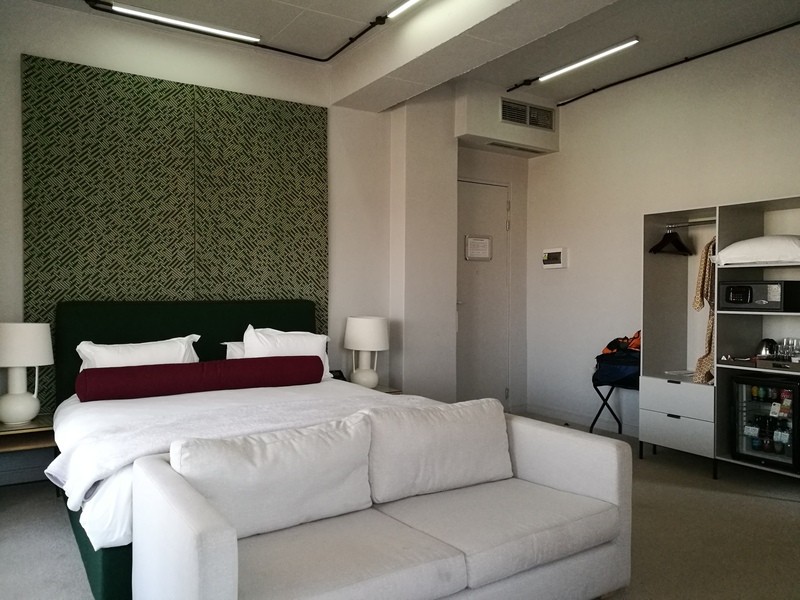 Now part hotel and part residency, there are floors which are for residents, and certain floors which are run as the hotel rooms. Although not complete, their end goal is to have a rooftop Sky Bar (views are AMAZING), retail space, coffee shop, craft brewery and more. Already operating is The Marabi Club, a ‘pop-up’ Pot Luck Club situated within Marabi (Jazz) Club which is operated under the chef Luke Dale-Roberts brand. The hotel offers complimentary shuttles to and from the precinct at scheduled times throughout the day (last transfer at 7pm). After that, the hotel has a dedicated vehicle to collect you should you be enjoying a beer, movie or dinner. That for a mere R35! So safety and ease of getting around was not an issue at all. They are all geared up for tourists. Overall I was pleasantly surprised. 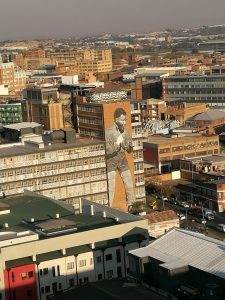 I wouldn’t say that staying in the area is for everyone, but definitely include a visit in your J’burg itinerary, as I really think Maboneng is destined to be the next ‘it’ place as the city centre continues its urban redevelopment.